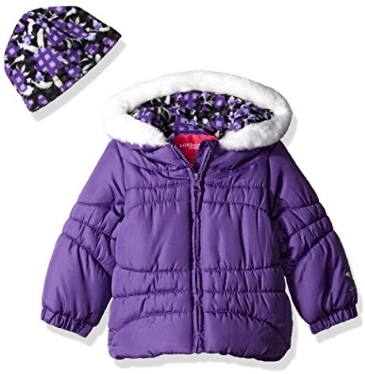 Amazon has got this London Fog Girls' Classic Puffer Jacket with Fleece Hat for less than $15.00 (only certain sizes). 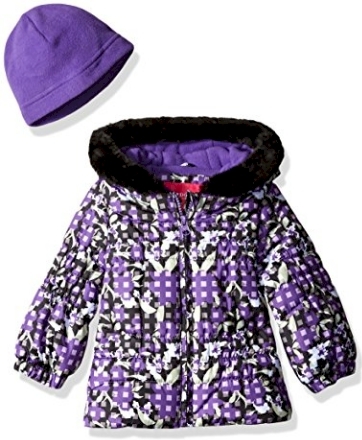 The purple floral one (pictured above) in size 12-months is $6.55 with free Prime/SuperSaver shipping and in size 24-months is $11.82 with free Prime/SuperSaver shipping and free returns. 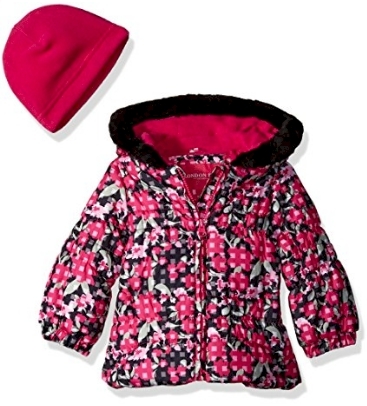 The pink floral one in size 12-months is $7.56 with free Prime/SuperSaver shipping and free returns. The purple one in size 12-months is $14.01 with free Prime/SuperSaver shipping and free returns.